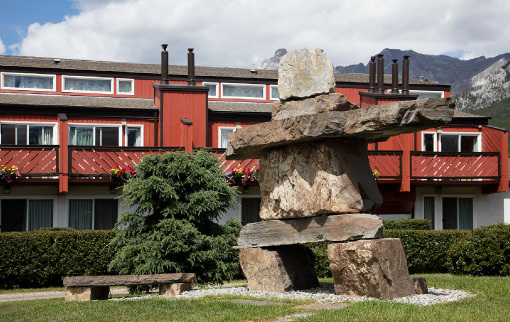 Centrally located in Canmore, just minutes from Kananaskis Country and Banff National Park, The Rocky Mountain Ski Lodge offers a mix of hotel rooms, apartments and lofts. With our variety of accommodations, we are an affordable choice for both individual travelers as well as groups. We have the perfect setting for your next family vacation, corporate get-together, special event, or weekend getaway! 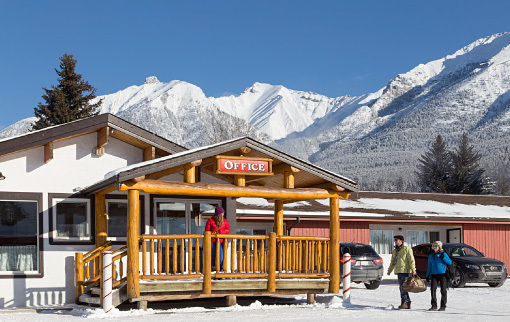 The rooms feature spectacular mountain views, air conditioning, free Wi-Fi, as well as mini fridges and coffeemakers. 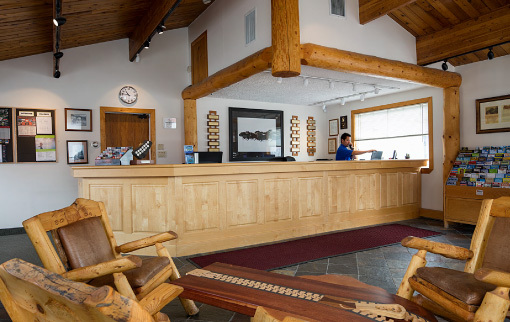 Amenities include a hot pool, a sauna, and BBQ and picnic area with a kids’ playground, plus laundry facilities and a meeting room. We also offer complimentary parking. Inexpensive, clean, and beautiful view! Great value!Lots of room, Great lofts, Very CleanMy sister and I came here for a weekend getaway and we were looking for something that wouldn’t break the bank. We got double queen room and it was amazing! Because we had a window in the front and back of our room, we were able to see mountains from both sides. Rooms were clean, front desk employees were very kind, and the location of the hotel was perfect. The motel shows it’s age but makes up for it in affordability, character and cleanliness. I’ll stay here again. Well located, easy to find, walking distance to fast food,some nice restaurants and coffee shops. Our room had a decent view of the mountains. Great to have the kitchenettes, lots of room, very nice beds, great lofts, wonderful for a family with 2 teens. Good location and Quiet despite the train or main road nearby. Can walk to Sage Bistro for dinner or drinks, or down the road for coffees or snacks. We stayed here a few weeks ago and it was amazing. The beds where nice, the room was clean and cozy and Christian was very informative on hiking trails and recommended crazyweed and it was very good. Also we had trouble with our WiFi but Christian fixed it. He is a very nice Young Man. We will definitely be coming back next winter and will recommend. Thank you for the awesome experience. 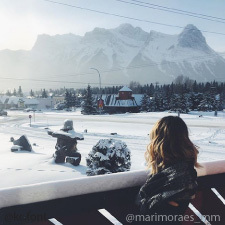 Canmore is such a gorgeous place to visit but it can also be quite pricey. 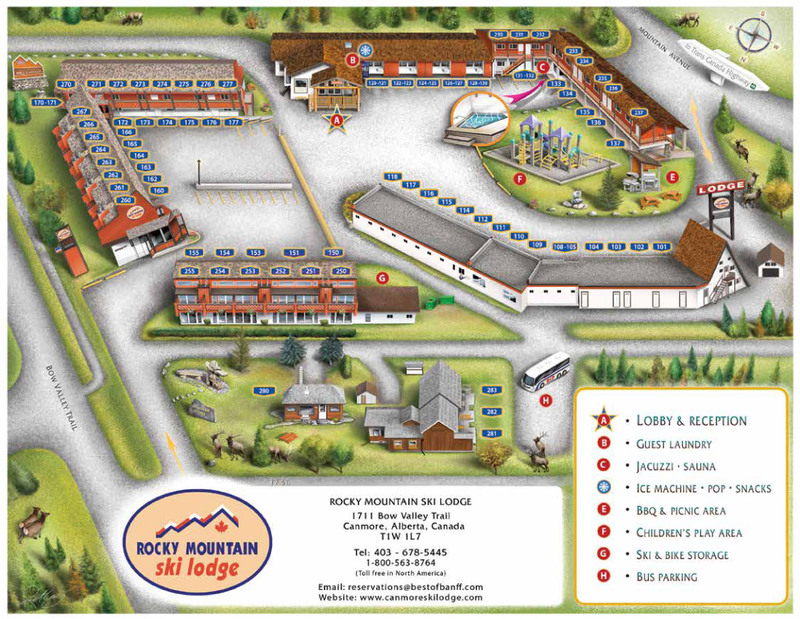 The Rocky Mountain Ski Lodge is a great value that allows you to enjoy the area without going broke! We stayed there for one night and were upgraded as they weren’t at capacity. Our new room had a queen bed, living room with a fireplace and pull out couch, as well as a kitchenette with a complete range, standard size fridge/freezer, microwave, and sink. There was also a little table with two chairs. The bathroom was absolutelu spotless! Amazing. On site there is also an indoor hot tub (which we didn’t get to use). The room was clean and comfortable with a great sleep on a Queen size bed. We appreciated that our bikes could be locked up in a separate room. I really like the hot tub and sauna. Very clean and again a beautiful view of the mountains, while sitting in the hot tub. 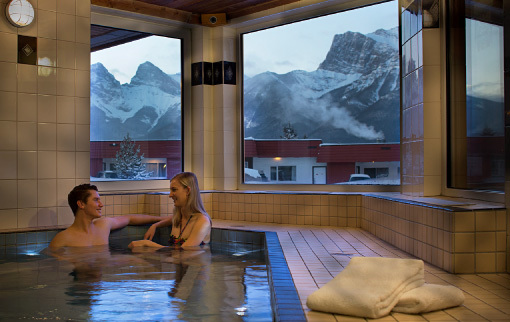 Would definitely make this our go to hotel whenever we are in Canmore. 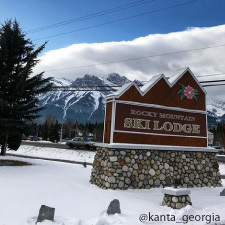 Enjoyed our stay at the Rocky Mtn Ski Lodge – Pat was helpful and friendly, and the room was nice (clean, great TV, gas fireplace) – recommend to stay here! 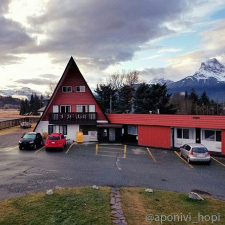 Lovely Hotel in the Canmore. It was very quiet, clean and comfort. It had everything you needed at budgetary price. 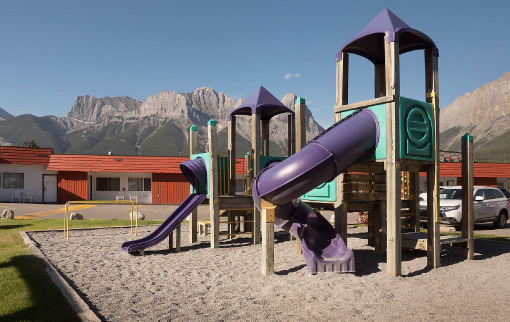 I would call this place a gem in Canmore. I would definitely consider staying here again..